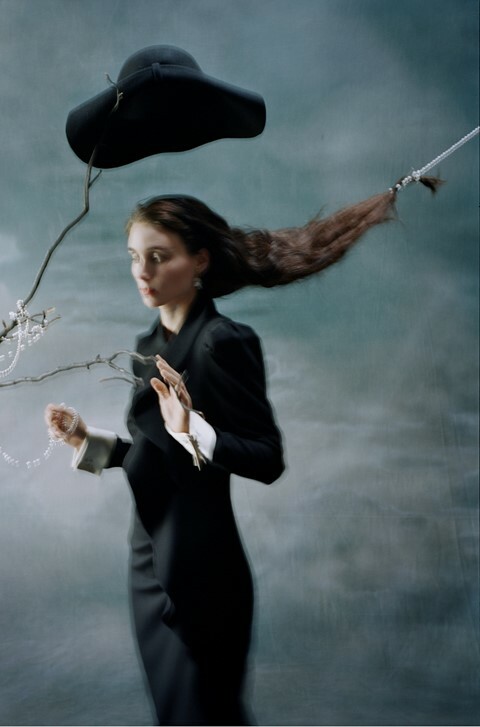 Today, the V&A has announced its upcoming exhibition Tim Walker: Wonderful Things. Arriving at the London museum this September, it will be the biggest-ever exhibition of the British photographer’s work, featuring over 150 images inspired by the V&A’s permanent collection. Known for his fantastical photography, the exhibition will encompass 100 existing images, ten new photographic projects, props, Super 8 film and rare artefacts from the V&A archive, which Walker has drawn from in the process of creating the show. Spectacular sets by Shona Heath will reflect the photographer’s work in rooms designed to resemble pastel-coloured country houses, burned-out cathedrals or a stark white photography studios. Contributions from the many stylists, hair stylists and make-up artists will be celebrated thtoughout, including Julien d’Ys, Amanda Harlech and AnOther’s senior fashion editor-at-large Katy England. Walker has previously shot Rooney Mara for the cover of the A/W17 issue of AnOther alongside fashion director Katie Shillingford, and the cover of Another Man A/W18 with England. Tim Walker: Wonderful Things is on at the V&A from September 21, 2019 – March 8, 2020.